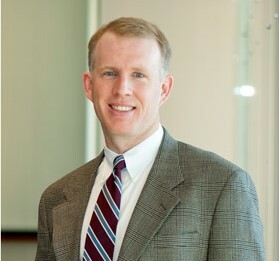 Lee Kynes is an appellate lawyer with significant experience in both the appellate and trial courts in Georgia and Florida. He approaches every case with creativity and analytical rigor, and has top-notch brief writing and oral advocacy skills. He is able to take the most complicated concepts and distill them into a clear and credible argument – the kind of argument that busy judges appreciate. He has experience in many substantive areas of the law, including personal injury and wrongful death, insurance coverage, civil rights, business disputes, probate, bid protests and habeas corpus. He has worked on some of the highest profile cases in Georgia over the past few years, and he knows what it takes to win. Before founding Kynes Law, Lee practiced with Holland & Knight in Atlanta and Tampa, and Hill Ward Henderson in Tampa. Lee started his career as a law clerk for the Honorable Charles R. Wilson on the Eleventh Circuit Court of Appeals. Lee is committed to justice for the poor. Prior to law school he worked for a year as a full-time volunteer at Georgia Justice Project, and as a paralegal at Georgia Law Center for the Homeless, where he now serves on the Board of Directors. He regularly handles pro bono cases, representing citizens who could not otherwise afford an attorney. Lee has deep roots in both Georgia and Florida. He and his wife, Helen, have settled in the Ormewood Park neighborhood in Atlanta with their three daughters, where they are active in their church, Village Church of East Atlanta. Lee is a native Floridian and third generation member of the Florida Bar.